Unlike many of the posts of NEO past, I am a new student in the NEO program, and beginning my Masters in Biology in the fall of 2014. While my research scope is still being defined, I can provide a brief overview of the projected work and its relevance. In 2011 the world’s largest roller-compacted concrete arch-gravity dam completed construction and was put in operation on the Changuinola River in Bocas del Toro province, Panama. The dam is under the operation and ownership of AES Changuinola, a subsidiary of AES Corporation. As a result of the dam operation, more than 1000 people, including the indigenous Ngäbe people, were re-settled. The dam itself is located inside a protected forest area, the Bosque Protector de Palo Seco (BPPS), and while residents were relocated, they were allowed to remain within the BPPS (AES Changuinola, 2013). 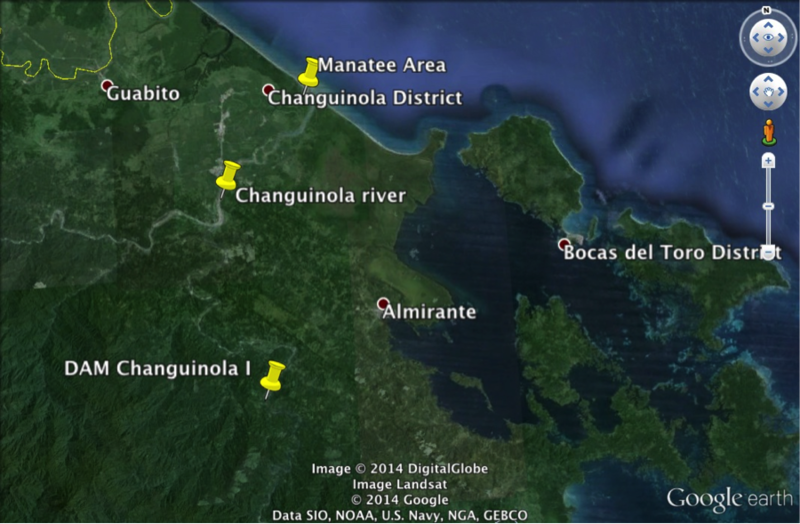 Figure 1 Google Earth view of the research area, and the relative locations of the Changuinola I dam, and the manatee habitat. As a result, the AES Changuinola I Dam has been the topic of controversy from indigenous rights and conservation groups (Kennedy, 2012; Kennedy, 2014). This dam is not alone in its infamy, as hydroelectric dams have been simultaneously lauded as social, environmental and economic benefactors and antagonists alike. The cross-disciplinary nature of hydraulic dams and their impact presents a complex problem for researchers to tackle. I will be working with Dr. Brian Leung and Dr. Hector Guzman, and we will be evaluating the impacts of the Changuinola I Dam on the local watershed and human and manatee population. The exact parameters that will be evaluated have yet to be entirely fleshed out, but this will hopefully become clearer as we gather data. Fortunately, we have the support of AES Changuinola, government officials and the local environmental authority (ANAM). The project is divided into three main components; the first is to establish the current state of the river, using the information that is publicly available (e.g. land use, rainfall, soil type, land slope, etc.) and the Environmental Impact Assessment conducted prior to construction. Any information that can be provided on the relocation and/ or consultations that occurred with the local communities will also be collected. We hope to create a snapshot of the watershed prior to the dam construction, and at present by comparing historical remote sensing imagery. The second step of our research will be to develop a watershed model of the Changuinola River using the Soil and Water Assessment Tool. The models developed will inform the last phase of the project, which is a manatee population model. This last analysis will involve the monitoring of the local manatee population and habitat to establish the effects of modifying the watershed. While my thesis is, quite evidently, in the preliminary stages, I am very excited to get started and to be a part of the NEO program. Here’s a brief introduction to my own background: I grew up (mostly) in Kingston, Ontario. I moved to Halifax, Nova Scotia at the age of 18 to attend Dalhousie University. I also happened to be in the first year of their new College of Sustainability program. My degree morphed into a combined honours degree in Environment, Sustainability and Society and Biology. A key component of my undergrad was a 6-month exchange trip I did to Wellington, New Zealand in my third year. It was an amazing experience to really throw myself into another country and its culture. When my feet touched back on Canadian soil, I was ready to tackle my fourth year. I wrote my honours thesis on the effects of a water-monitoring program in First Nations communities in Atlantic Canada. It was this work in the Centre for Water Resources Studies in 2013 that lead to my employment there after graduation. I learned a great deal at the Centre, though my time there has drawn to a close as I prepare for my upcoming move (and next great adventure!) to Montreal at the end of the month.